A Southern California man has pleaded guilty to murdering his 5-year-old son. The boy’s body was found near Lake Cachuma in Santa Barbara County after an extensive search by law enforcement. The boy, Aramazd Andressian Jr., was last seen alive leaving Disneyland on April 20 with his dad Aramazd Andressian Sr., 35. Two days later, police found Andressian Sr. unconscious in his BMW, which was doused in gasoline and parked in a South Pasadena park. Anderson Sr. claimed at the time that he had no memory of what happened to his son. Less than a week later, officers arrested Andressian Sr. on suspicion of child endangerment and child abduction. But several days later he was released because of insufficient evidence. Following more than two months of searching for the boy, officers arrested Andressian Sr. a second time after finding him in Las Vegas with dyed hair and a shaved beard. Then on June 30, officers found the child’s remains near Lake Cachuma. Andressian Sr. was in the process of a contentious divorce with Ana Estevez, the child’s mother, at the time the boy went missing. The parents had joint custody of Andressian Jr. before the boy disappeared. 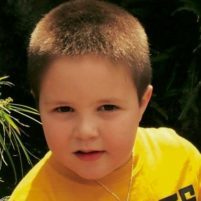 Authorities suspect Andressian Jr. was killed shortly after leaving Disneyland, then taken to the Santa Barbara County lake. Investigators found evidence Andressian Sr. was at Lake Cachuma on the day his son went missing, but there were no sightings of the boy. Andressian is expected to receive a sentence of 25 years to life when he returns to court on Aug. 23. Not sure about murder, but if he gets 25, would be 12 with good behavior? That’s frightening. My thoughts are with the mother in this story. I am so sorry for her loss. He should never get out of jail. “Andressian is expected to receive a sentence of 25 years to life”…..that is not enough, the possibility of him getting released in 25 years makes me sick to my stomach and ashamed of my state and it’s leadership. And the state plans on keeping this person in prison for the rest of his life?, what a waste of taxpayer money.